Hello there! 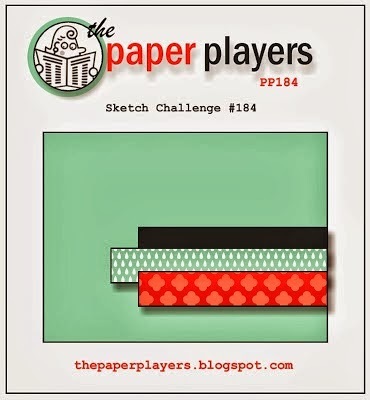 This week at the Paper Players, we have a fun sketch designed by Jaydee. There are a lot of possibilities for this layout. I know I will be using this one again, for sure. Please join us over at the Paper Players! The challenge is open through Friday, February 28th, 2014 at Noon (PDT). Stop by and say hello to the rest of the Design Team to see what they are sharing this week. Have a great day! This is adorable.....and I have always thought of ruby slippers when I look at that paper too! I am loving your twine...perfect for these colors! AM, I know exactly what you mean about choosing DSPs. In the end, I don't use them because I can't make up my mind. However, I love your combo and I love the red just sayin' with the glimmer paper behind. Fabulous take on the sketch. Very pretty card! 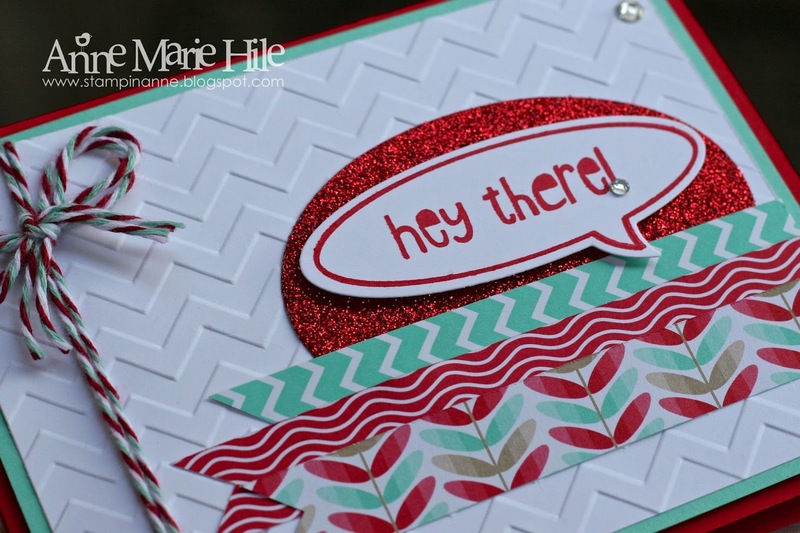 Love that paper and embossed background! Adorable, Anne Marie! I love the glitz! The bakers twine bow is too cute! Anne Marie, this is perfect! Love your choice of papers (even if it took a while) and the bling from glimmer paper is wonderful!